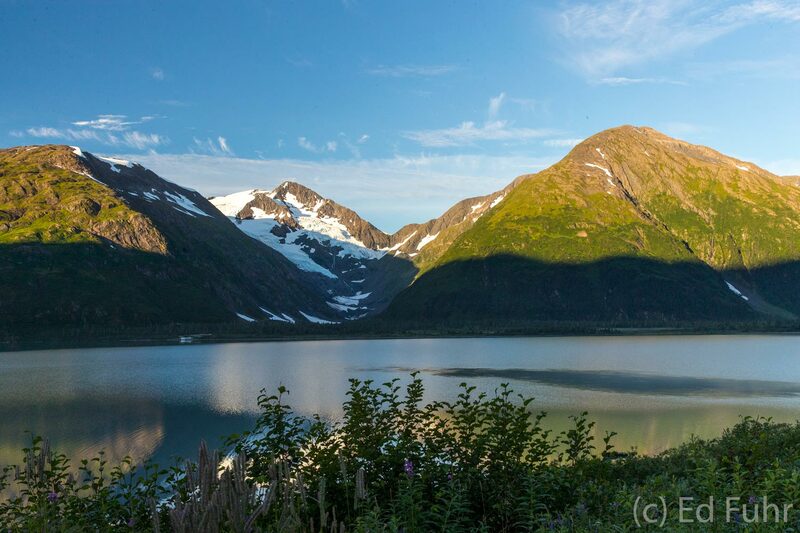 A beautiful place to watch sunrise: Portage Lake sits in a long, heavily glaciated valley, and abuts the calving face of Portage Glacier at its southern end. The lake has only become visible since approximately 1914, with the rapid retreat of the glacier. Photo © copyright by Ed Fuhr.